During a bone-chilling snap of record cold weather, a series of enigmatic drowning deaths play out in a small summer resort community on Long Island's Shinnecock Bay. Quickly implicated in the death is a local college professor named Deacon Kane, himself recovering from the accidental drowning death of his only son years ago - recovering slowly, and with the help of alcohol and an addictive, messy affair with a married woman. As the police and several other interested parties watch his every move, Kane befriends a hypnotically alluring bartender named Collette and quickly continues his brutal downward spiral with little regard for self-preservation. Whether and how Kane is connected to the young victims are the questions everyone wants answered. And as it becomes clear that Kane himself may not know the extent of his own involvement, all must admit that something dark and sinister is at work in Southhampton. 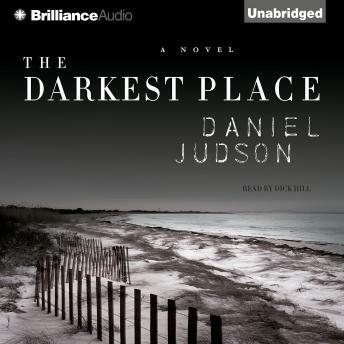 Daniel Judson has a virtuoso's touch and an uncanny ability to layer suspense, plot, and character study into an engrossing and completely surprising crime novel that will not soon be forgotten.